I had way too much fun with the new color challenge. I loved the color combination so much this week, that I made three cards with it. 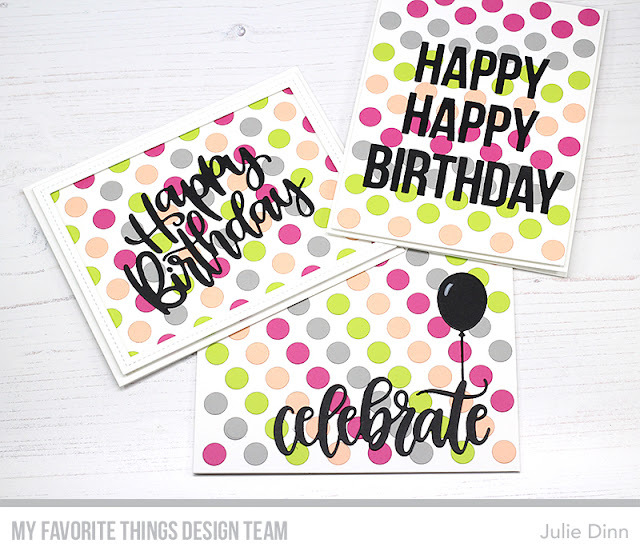 I used the fabulous Peek-a-Boo Polka Dots Die-namics and I die-cut sheets of Peach Bellini, Ripe Raspberry, Limelight, and Cement Gray. 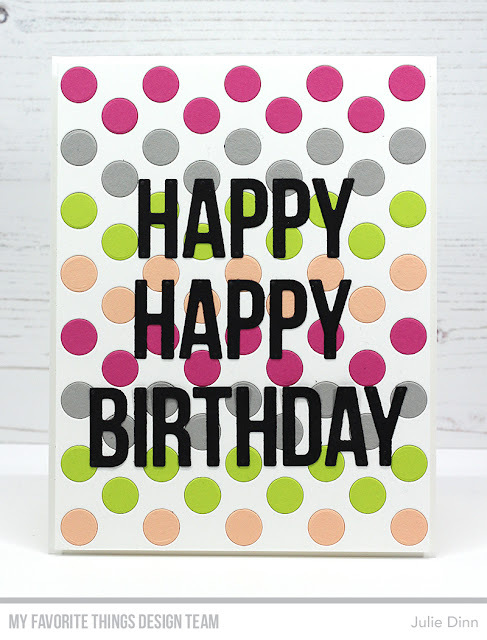 I had piles of colourful dots everywhere! I used the same die to die-cut a few sheets of Smooth White card stock for the bases of the cards. 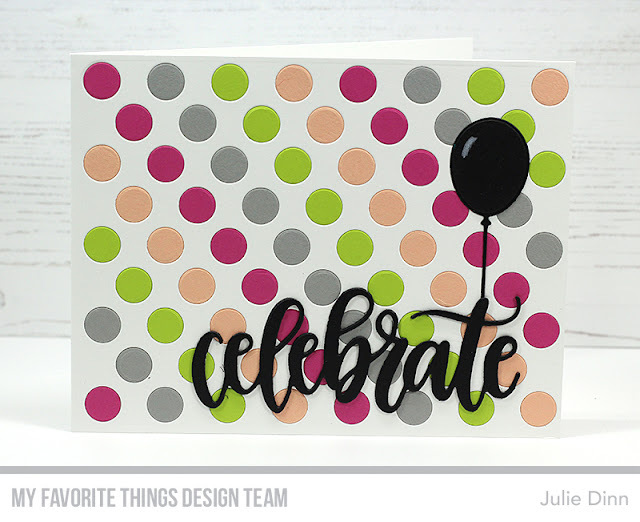 I placed the colourful dots in different patterns on the Smooth White card stock. 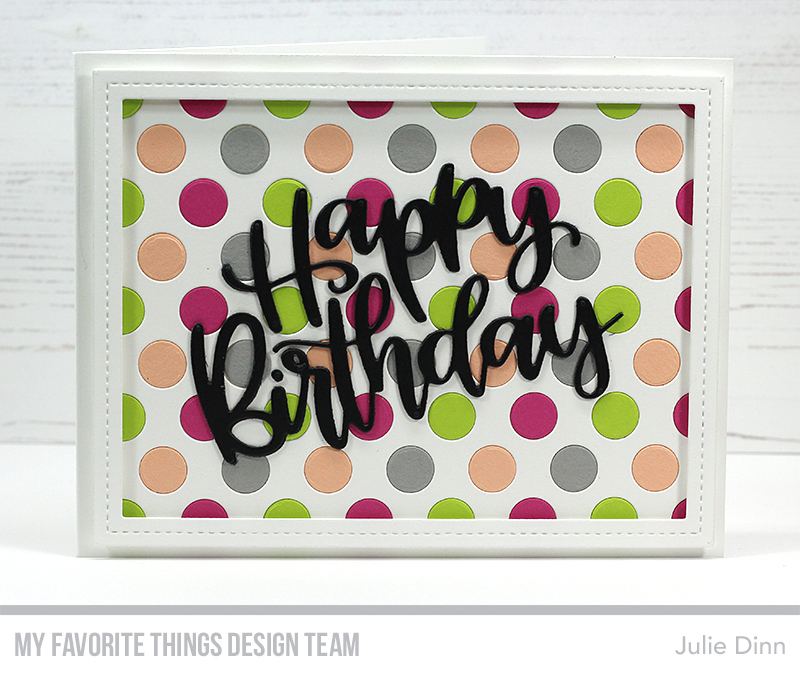 I added a Black Licorice birthday sentiment to each of the cards.